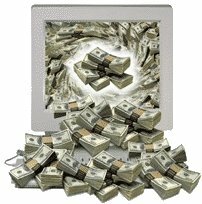 Becoming A RapidTabs.com Affiliate Is Quick & Easy! 1. Complete the form below thoroughly and accurately. 2. Click the checkbox indicating you've read and agree with our Affiliate Agreement. Shortly after submitting your Application, you will receive an email confirming your Affiliate ID and Password as well as links to our banners and affiliate tracking system. CLICK HERE TO SEE OUR EXCELLENT COMMISSION STRUCTURE! * Important: Your Password is sent to your email address, so make sure it is correct! Social Security or Tax ID #: * U.S. Residents ONLY! By selecting this checkbox, I am indicating that I have read and agree to the terms and conditions in the Affiliate Agreement, including the Zero-Tolerance SPAM Policy.